Until yesterday, I still had a TransLink card. It stopped working last weekend, spontaneously. I guess it had served me as long as it was willing to, and put in for early retirement without letting me know. On the Clipper website, disable your autoload. Go to a Clipper service kiosk. There’s one at the Embarcadero BART station, one in the Ferry Building, and one at Geary Boulevard and Presidio Avenue. Ask for a new card, and they’ll set it up with your existing account. The money in your account should be fine, but if they don’t offer that information, ask. When you get home, register your new card on the Clipper website. Go to Register Another Card on the left navigation bar, and follow the steps. Also on the Clipper site, you’ll need to reactivate your autoload. Use the Set up Autoload option on the left navigation bar. If you have your Fast Pass on TransLink and want to make the switch, call the Clipper customer service (877.878.8883) to make sure the Fast Pass is loaded onto your new Clipper card. While my experience was rather seamless (the correct cash amount appeared on my card the first time I used it after activating it), we’d love to know what your experience was when you switched over. Let us know in comments, please. The new minimum add-value requirement is $5 or a fare product, e.g. an adult Muni “A” or “M” Fast Pass®. The new policy does not affect the minimum requirement on the Youth, Senior or RTC Clipper cards, which is currently $.75. The new minimum requirement generally only applies to customers who are purchasing a new Adult Clipper card and want to add cash value at the time of purchase. 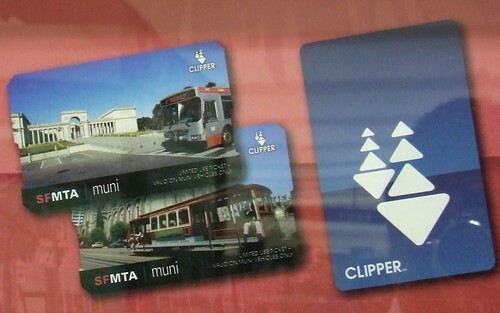 At the Muni Metro ticket vending machines (TVM), however, whether purchasing a new Clipper card or reloading an existing Clipper card, Muni adult fare customers are subject to the minimum $5 requirement, regardless of the current value on the existing card. Muni Metro customers who do not wish to pay this $5 minimum may instead purchase a single or round trip regular adult fare Limited Use Muni Ticket out of the TVM. The minimum requirement doesn’t apply to customers with existing Clipper cards who want to reload cash value at Clipper card retailers, the Clipper website, or the add-Value machines at AC Transit or Golden Gate Ferry locations. Will this deter fare scammers? Akit at Akit’s Complaint Department thinks SFMTA should do more. “This is not enough to stop the abuse by raising the minimum e-cash to $5 for a new card. Caltrain and BART passengers that ride long distances can still exploit the Clipper card’s negative balance by getting a ton of free cards with the minimum balance of $5 required to obtain a card,” he writes. Last week on Muni Diaries, you asked lots of questions about Clipper cards, which prompted Clipper headquarters to respond in the comments of the post. We compiled Clipper’s responses in case you missed them. My Clipper card is damaged and I need a replacement. What can I do? Clipper recently opened two walk-up customer service centers in San Francisco that can replace a damaged or defective Clipper card immediately (you have to bring the card with you to the Customer Service Center. The customer service centers are at the Bay Crossings store in San Francisco’s Ferry Building and on the mezzanine level at the Embarcadero BART/Muni station. I’d like to use e-cash on the cable cars, but they don’t accept it yet. Any idea when? It sounds like you take Muni and the cable car alot, so it might save you money to purchase a Muni monthly pass (the “A” pass lets you ride all Muni vehicles and BART within San Francisco and the “M” pass is good only Muni vehicles). 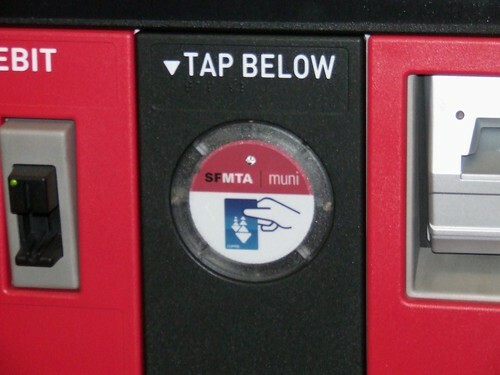 Muni cable cars will be getting handheld card readers that can deduct cash fares from Clipper cards. I don’t know when the cable car operators will begin carrying them, but they are coming. Why is my benefits company charging me $2 extra to put a Fast Pass on my Clipper card? 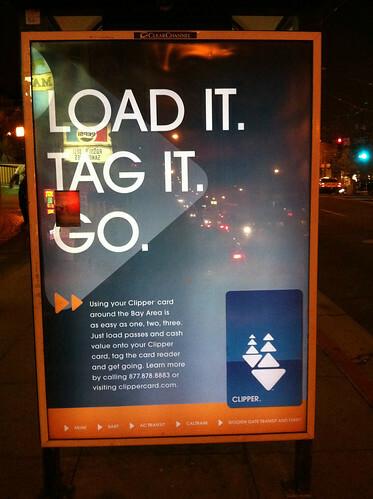 Clipper does not authorize the $2 monthly fee for customers who get transit benefits loaded directly onto their Clipper cards. The Metropolitan Transportation Commission (MTC), which runs the Clipper program, has demanded that the Clipper contractor Cubic Transportation Systems and Commuter Check’s parent company, Edenred USA immediately discontinue the $2 customer service fee. Stay tuned for more on this issue. You can check for updates on our website, “Like” us on Facebook (Bay Area Clipper) or follow us on Twitter (@BayAreaClipper). Caltrain needs more Clipper card readers. Some platforms only have one reader. Thanks for your feedback on the readers at Caltrain’s stations. We’ve heard the same feedback from other Caltrain customers and have shared the input with Caltrain. If you’ve got questions about Clipper cards, ask them in the comments below. Update (2:21 p.m. Thursday): A rep from Clipper has dropped by to reply to some of your comments. Read them all here. That last comment is a sad one. But the rest of the conversation makes us wonder: If you’re a monthly pass-holder who hasn’t made the switch yet, why not? 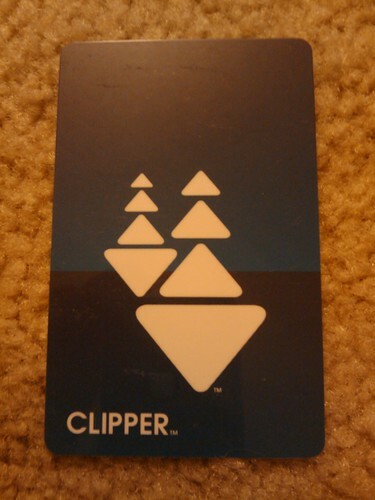 And if you have already got a Clipper card, how are you liking it? PS: If it’s simply aesthetics that explain your aversion to Clipper, fear not. We’re selling card holders that look like the old paper Fast Passes in our Etsy store. The ever diligent Akit at Akit’s Complaint Department reminds us today that the BART to Muni discount transfer will be available on Clipper only starting Oct. 4. Currently you can get a 25 cent discount on a paper coupon when you transfer from BART to Muni. Starting Oct. 4, to receive this discount, you’ll have to use a Clipper card to pay the fare, and the 25 cent discount will be automatically calculated on your card, according to SFMTA’s official announcement. This only applies to stations between Embarcardero and Balboa Park and does not include Daly City station where you can still receive a paper coupon for the discount. Why is this happening? According to Akit, the new faregates and ticketing machines have no way to accept the paper coupon, and this also eliminates paper waste. See Akit’s post for more on why the BART to Muni discount will be on Clipper only. Clipper cards are free until June. The Situation: I give my wife a TransLink card (pre clipper design) loaded with a Muni M Fast Past (Metro Only, $60 value) to use for her daily commute. The Problem: On her third day of using it, a small crack occurs on the TransLink card, near (but not including) the chip. The card is now broken, and completely useless (doesn’t even fail when you tag it, nothing at all happens). My Solution (hopefully): Go down to the Embarcadero Station and trade it in for a new card, and get the Fast Pass transferred. Seems like a logic and easy thing to do, given that this is the information age. Take the Fast Pass off of one card, add it to another, voila! Reality: I head down to the station, and the agent at the desk tells me to go get a new Clipper card from the newsstand across the way, and contact Clipper Customer Support about transferring the Fast Pass. I am a bit frustrated that I have to call but I figure it should still be a cut and dry situation. 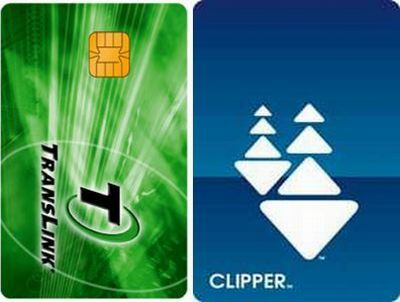 When I called Clipper Customer Support, at first I am told that the balance on my card cannot be transferred to my new card until the old card has been “blocked” (or deactivated) for 24 hours. They then can move it to the new card. Then the customer service agent realizes I am trying to transfer a Fast Pass, and not a cash balance. She informs me that she needs to block the original card, and then she can mail me a new card with my Fast Pass on it. This seems illogical given that I am holding a brand new card ready to go. Can’t use it at all. Geoff said he talked to a very “calm and collected” supervisor at Clipper who said that their system cannot transfer Fast Passes from one card to another the way Geoff had expected this to work. It would take about three days to get a new card mailed to him. I’ve only transferred cash from one Clipper card to another and was also told that I had to wait for the new card in the mail. It took about a week to receive my new card. Since it was cash (and the service agents I talked to were pretty nice), it was a small inconvenience for me, but for riders with a Fast Pass on Clipper, should Clipper come up with a better way to replace your lost/damaged card?